Here we have a complete, open trigger assembled Lower. Lower parts kit installed, and comes with a Magpul® 6-position stock and pistol grip. Multi-cal, for 5.56 or 300 BLK, whatever's your pleasure. It's ready to go…just pin it together with your complete upper, and you're ready to rock. 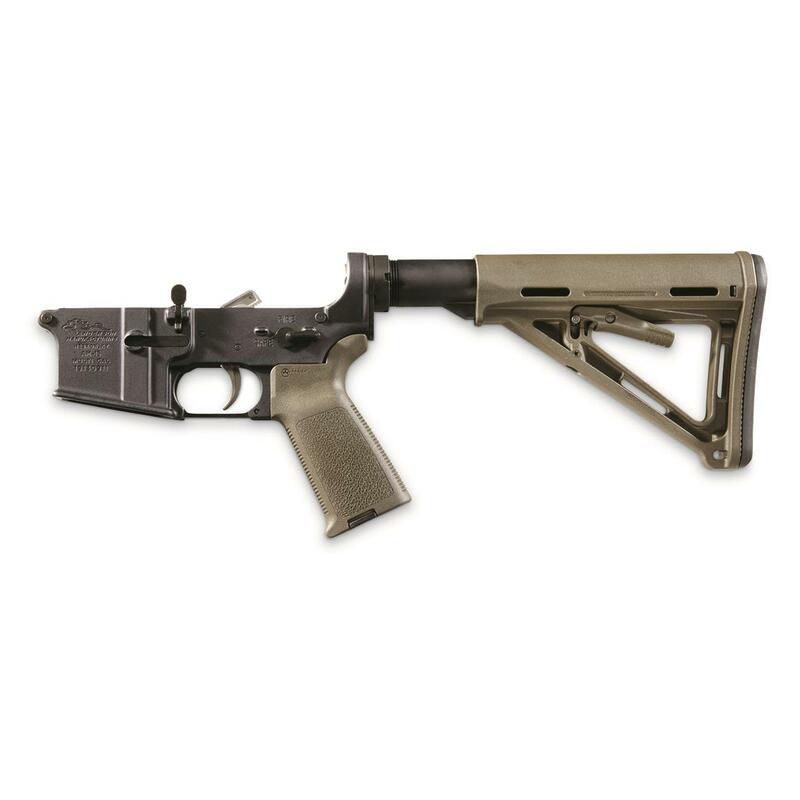 Anderson Complete Assembled AR-15 Lower Receiver, Multi-Cal, Magpul Stock and Grip, Olive Drab is rated 5.0 out of 5 by 1. Rated 5 out of 5 by Paul from Great Price, Excellent Quality! Bought this lower for my 6.8SPC build. I have put over 500 rounds down range without any issues and it looks great too!